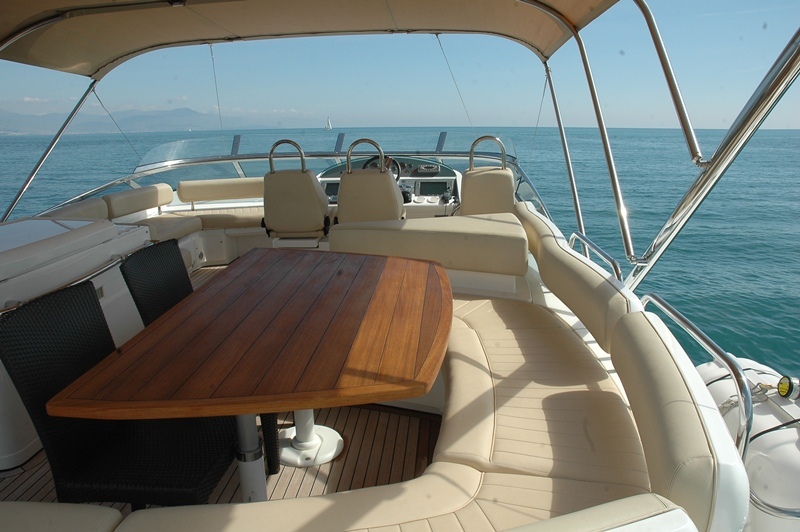 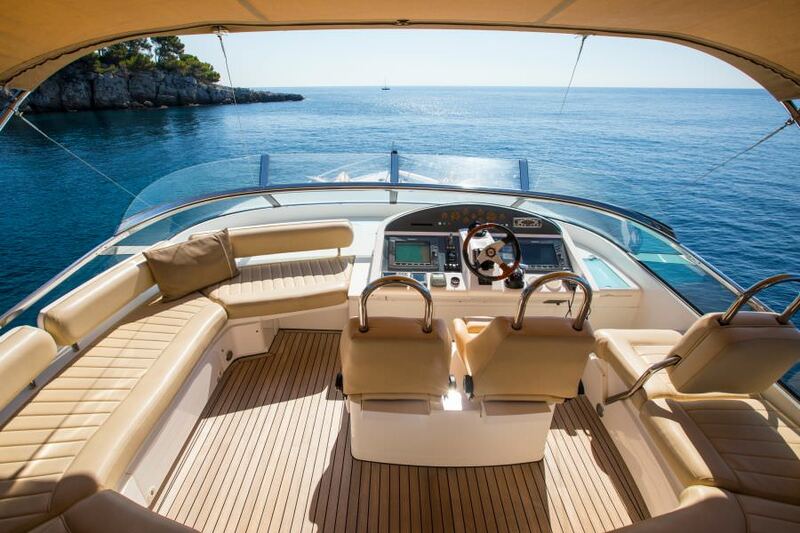 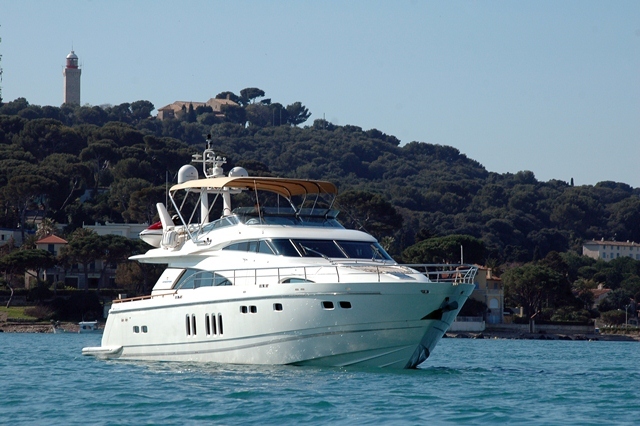 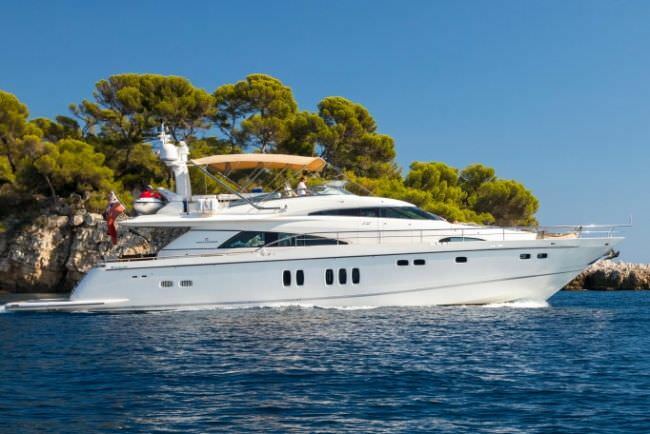 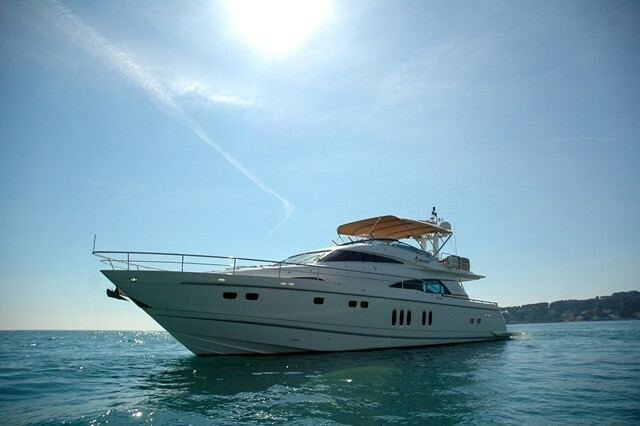 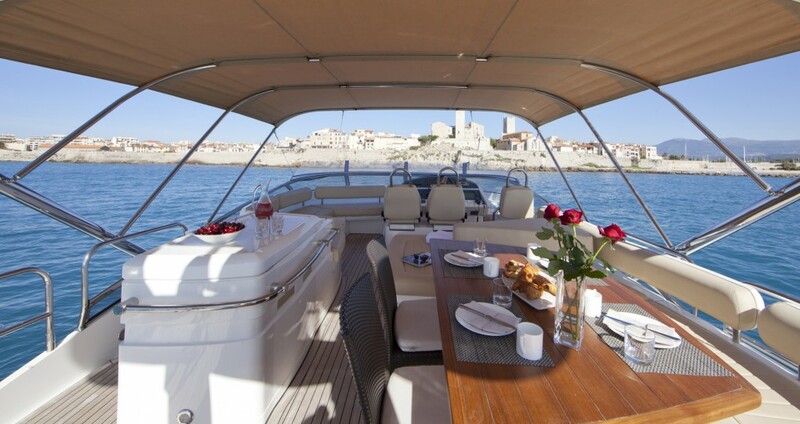 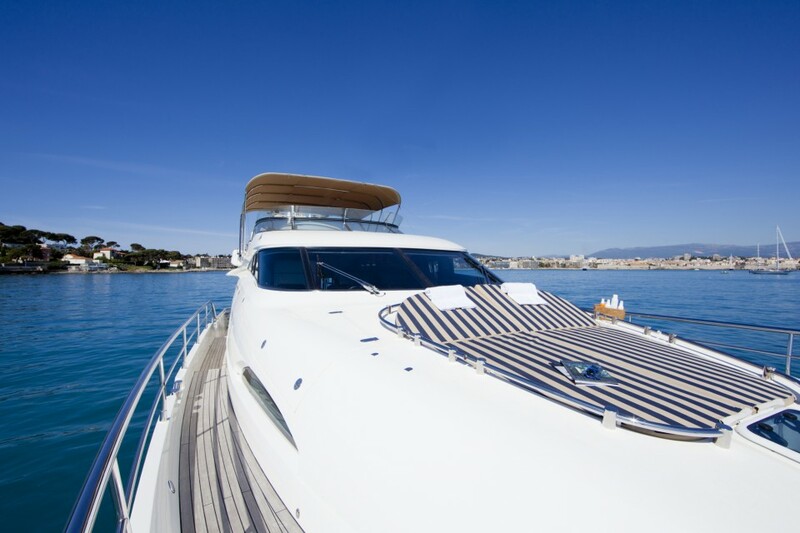 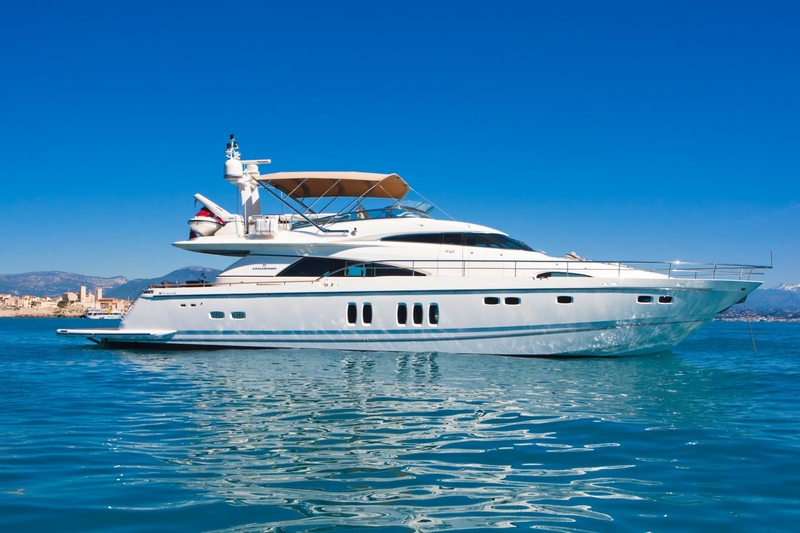 Motor Yacht D5 is a luxury motor yacht built by Fairline in 2008; The yacht can accommodate 8 guests in 4 cabins and is based year round in the South of France. 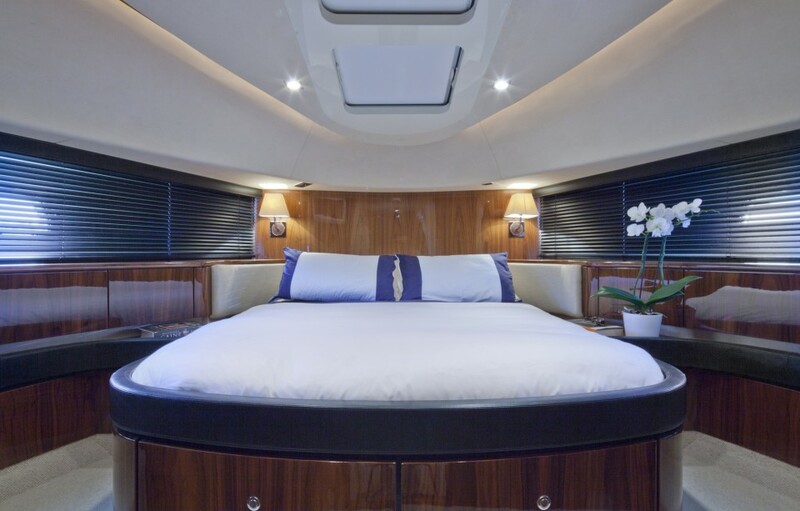 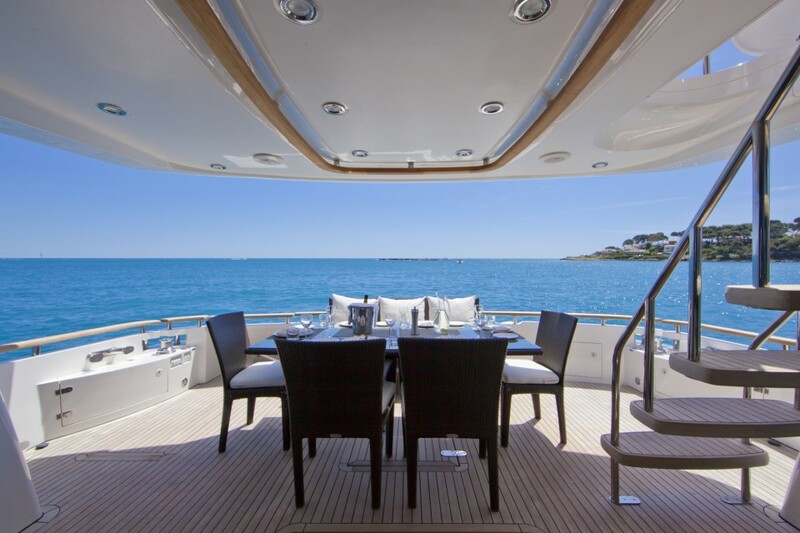 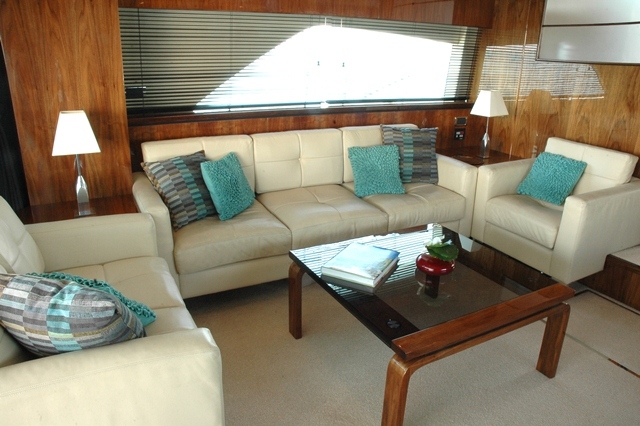 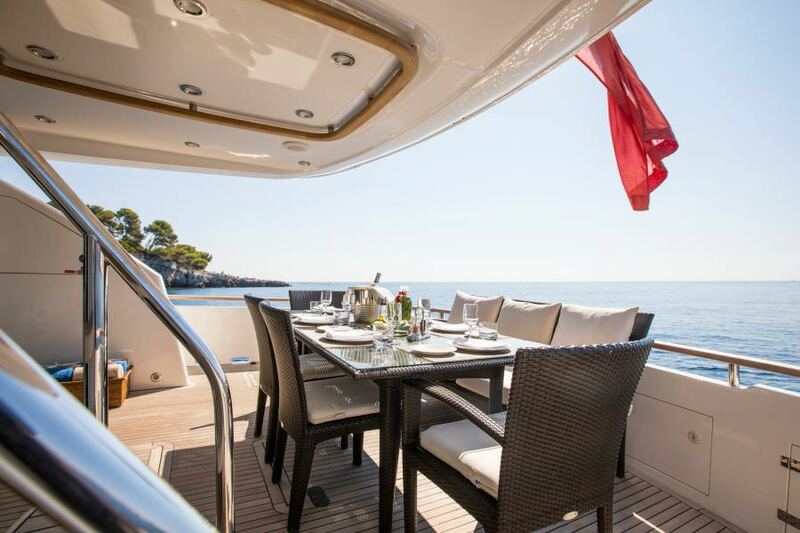 M/Y D5 has a lovely contemporary interior, the salon features quality high gloss woods, a stylish glass coffee table, light cream leather soft furnishings an entertainment center complete with large flat screen TV. 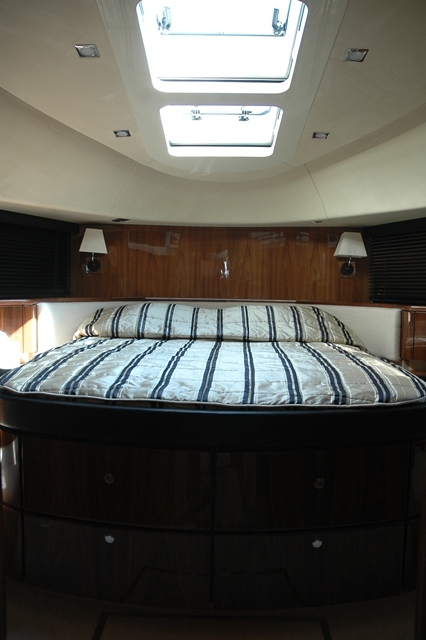 There is full carpeting throughout. 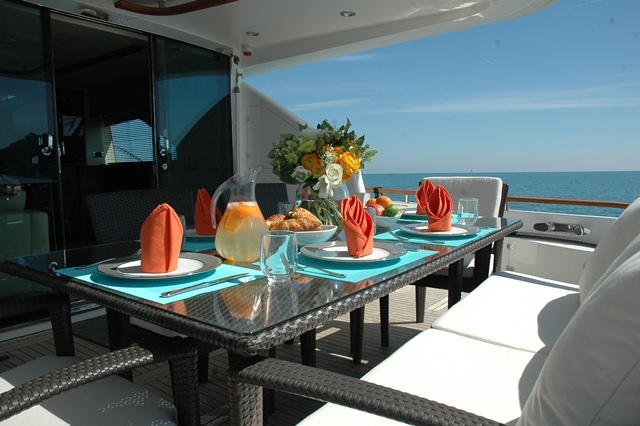 Forward of the salon the formal dining space has ample seating for 8 guests. 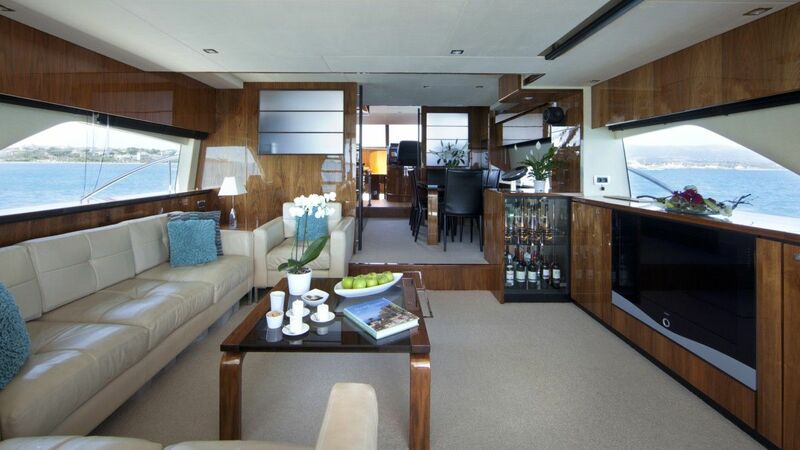 Both the salon and the dining area offer wonderful natural light thanks to their large panoramic windows. 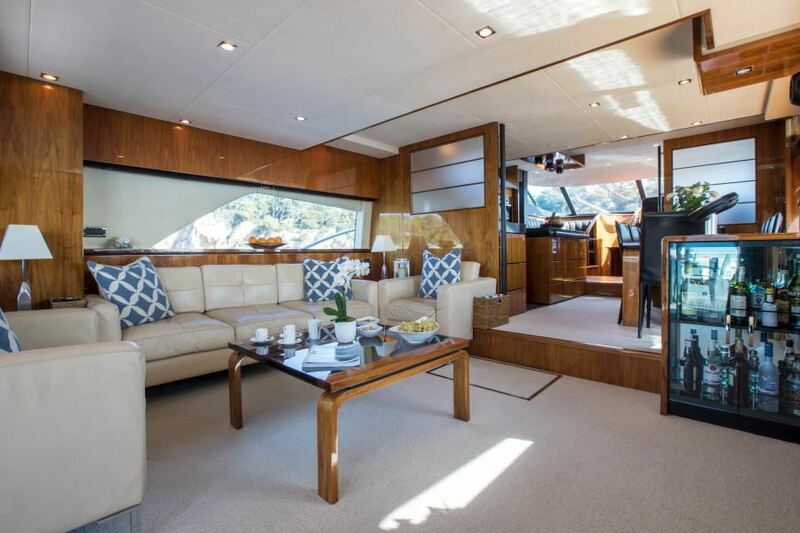 Motor Yacht D5 has generous deck space; the aft deck leads out from large glass doors aft of the salon and offers an alfresco dining option and an extended swim platform below. 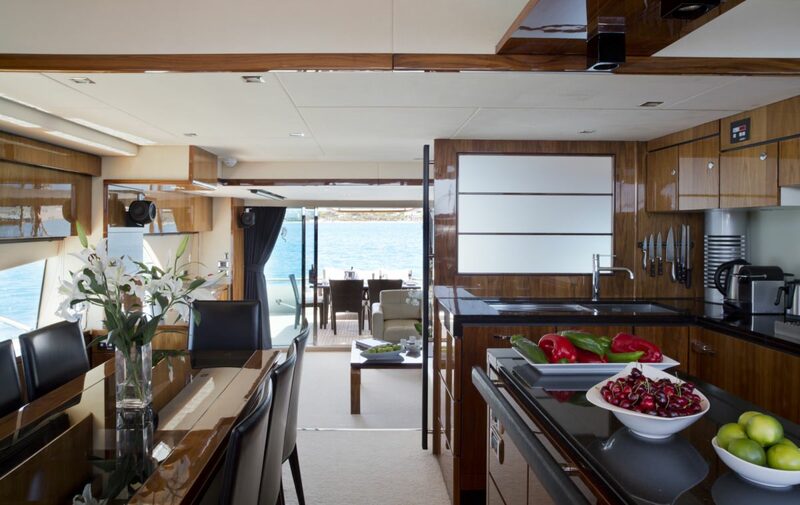 Above deck the fly bridge has another alfresco dining option, BBQ, drinks bar, additional lounge seating and 2 extra helm seats for a superior captains view, the entire space has an optional bimini cover. 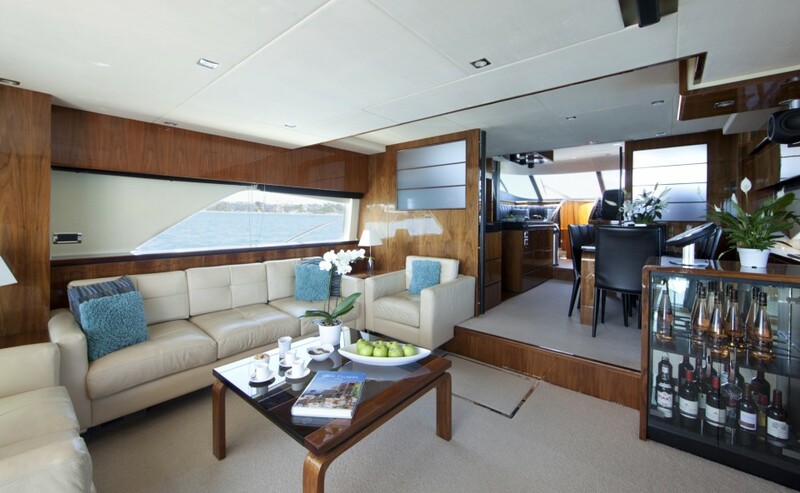 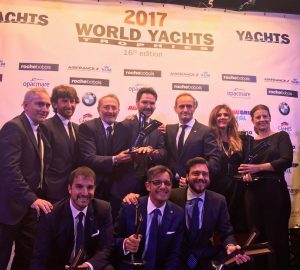 Charter yacht D5 has a beam of 5.7 meters (18.7ft) and a draft of 1.61 meters (5.3ft), the yacht cruises at an average speed of 18 knots. 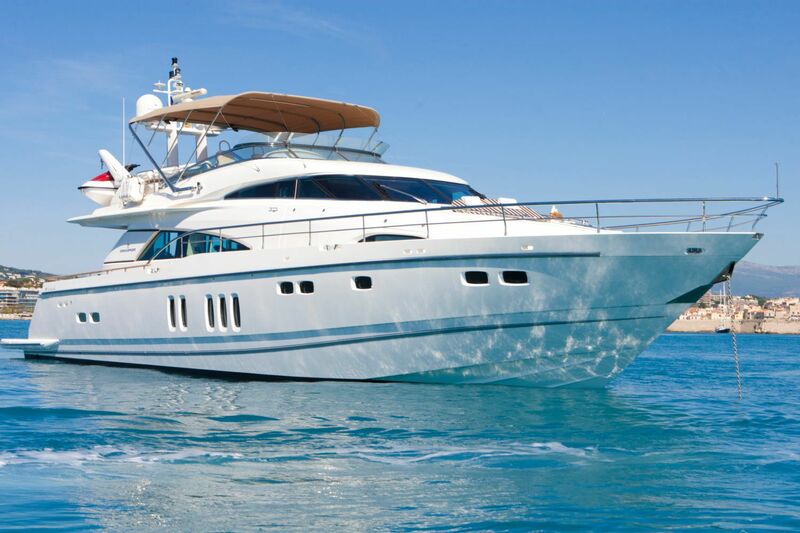 Luxury Motor Yacht D5 offers 4 spacious cabins for up to 8 guests, the master cabin is full beam of the yacht featuring a king size bed and vanity area, lounge suite, LCD TV and Bose Home cinema surround sound DVD/CD Radio, en-suite facilities with a double sink, large walk in shower and dressing room. 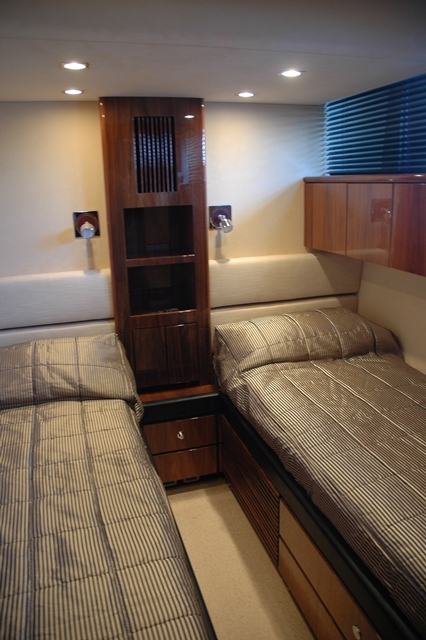 The guest’s cabin is forward and full beam offering a king size bed LCD TV, DVD/CD, Radio and en-suite facilities while a further 2 cabins offer twin beds LCD TV, DVD/CD, Radio and shared facilities. 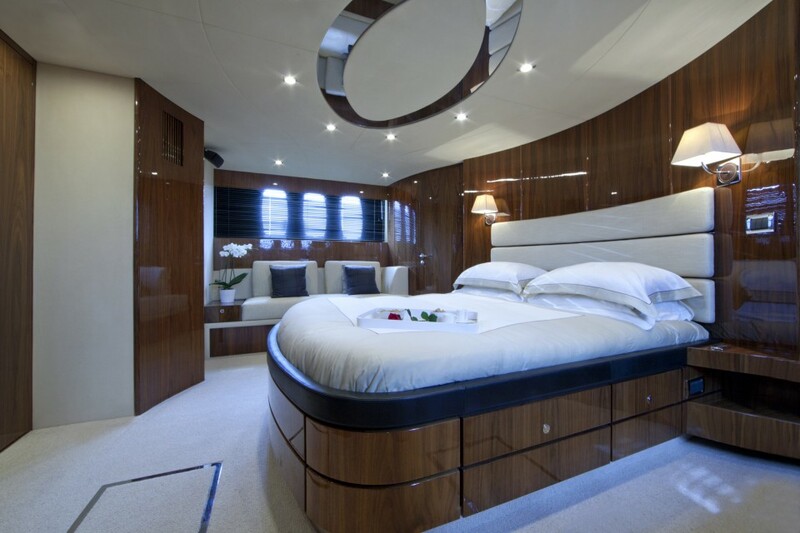 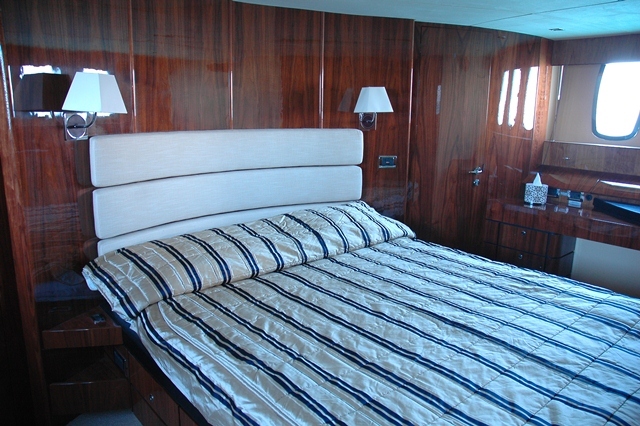 All cabins have gorgeous dark wood finishes, neutral toned walls and flooring, good storage and plenty of natural sunlight through hatches and ports. 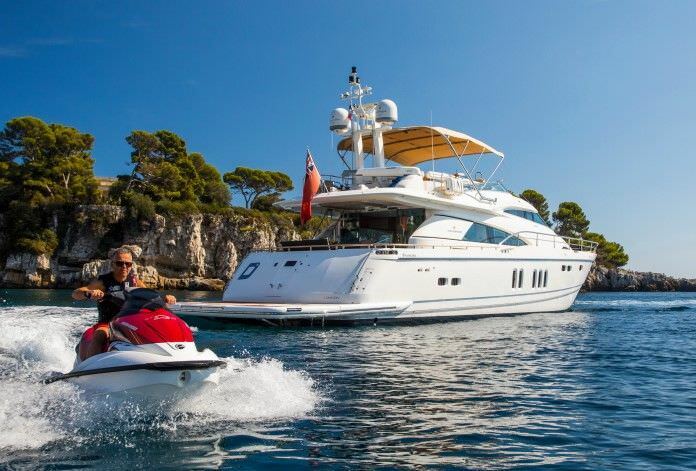 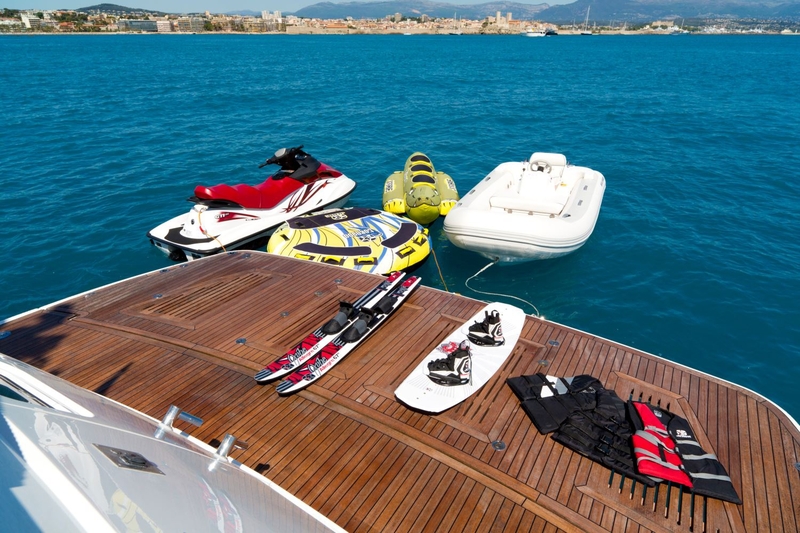 Onboard the Fairline yacht D5 is a Williams 385 Jet RIB, Jet Bike : SEA-DOO GTI 130 4-TEC PWC, Wake board, Water skis, Snorkels gear, Crocodile and Delta Wing (3 persons) and Towing Donut. 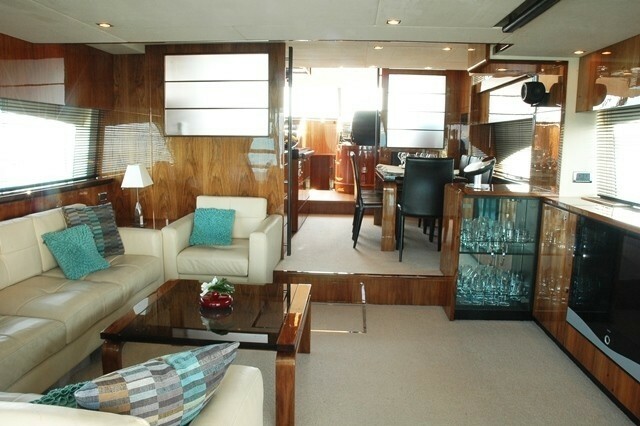 The main salon is equipped with the latest Bang and Oulfson entertainment system including CD/DVD/RADIO with iPod connection and electric rise and fall Loewe flat screen TV, Satellite phone and Sky Satellite TV, Wi-Fi throughout the salon and cabins.